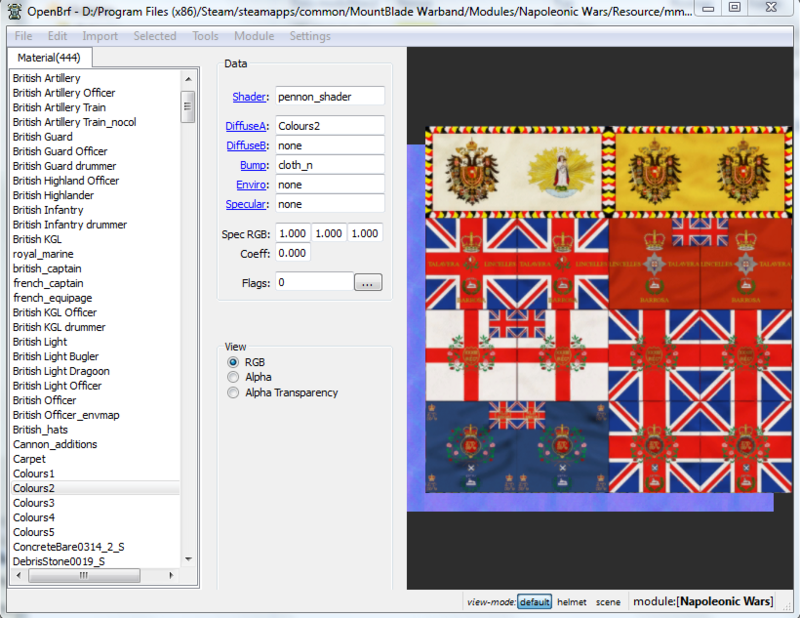 ive made some new flag models, they work all fine and look great in game (all for NW). only problem is that theyre static. anyone know a way to get them waivy'ish if you get what i mean? As far as I can remember You need to assign a proper shader to their material in order for them to move. [NW uses "pennon_shader" for colours"
The default NW colour shader is called "pennon_shader". You need to assign it to the material youre using on the colour. Did you import the texture into the BRF file? I don't know anything different that could cause such problem. Well, I've never seen such a bug, and thus I think im won't be able to further help you, sorry. Alright thanks for the help in the first place tho.